A couple of folks have sent word my way about the plight of Ueen Joung Chang, a 26-year-old DREAMer and Sunday school teacher from San Jose who is currently detained in Arizona and at risk of deportation to South Korea, where she has no home or family. She came to the United States when she was seven years old and was not aware of her immigration status until she was stopped at an immigration checkpoint in Arizona on her way to a friend’s wedding in Phoenix. She is now ordered deported despite her family having followed the steps to attain green cards, but were foiled by bureaucratic errors. With no family in South Korea, her deportation would tear her away from her family and community which depend on her. We are requesting Immigration and Customs Enforcement (ICE) to release Ms. Chang from detention while her case is under review by an immigration judge so that she may continue to give back to her community, and ultimately, to stop her deportation. Also, when you have a chance, call ICE and demand that they release Cindy from detention. Leave a message if forwarded to voicemail. Sample Script: "Hi, I am calling to ask that Ueen Joung Chang (A#073-547-961) be released from detention. She is a DREAM Act–eligible student and Sunday school teacher and has lived in the United States since she was seven. Please release her from detention." Cindy's friends and supporters have started an online petition on her behalf. Sign it here. You can also contact the immigration officers listed to request her release. And for further information, check out this Facebook page: Release Cindy Chang from Immigration Detention. UPDATE: Waiting for a more detailed update, but according to the Free Cindy Facebook page, Cindy is getting released today. 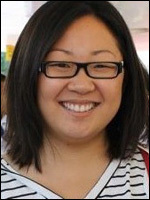 More here: Cindy Chang, Sunday School Teacher, Released After Three-Week Detention at Arizona Immigration Checkpoint.